Winner of his Hanoverian Foal inspection! Ser Gregor is a expressively moving colt with a sweet character. He is by Don Gregory, an FEI Dressage stallion who won his 30 day testing in Neustadt Dosse, out of our State Premium mare Donna Dia. 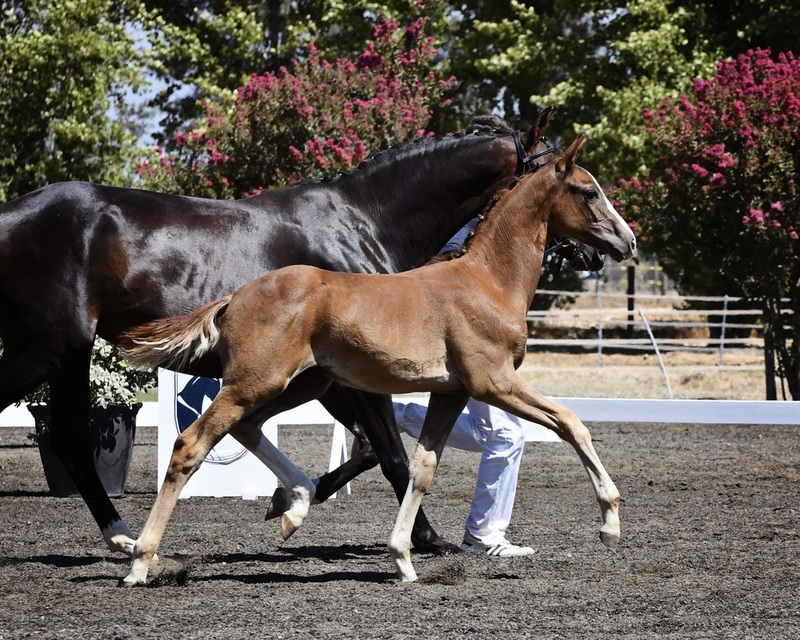 This beautiful foal won the award for best colt at his foal inspection and convinced the judges with his ground covering yet always rhythmical trot. Valyria is a beautify filly with a sweet character. She is by Vitalis, a modern and big moving stallion who dominated the dressage index of his stallion performance test in 2010 in Warendorf and has already produced 14 licensed sons. 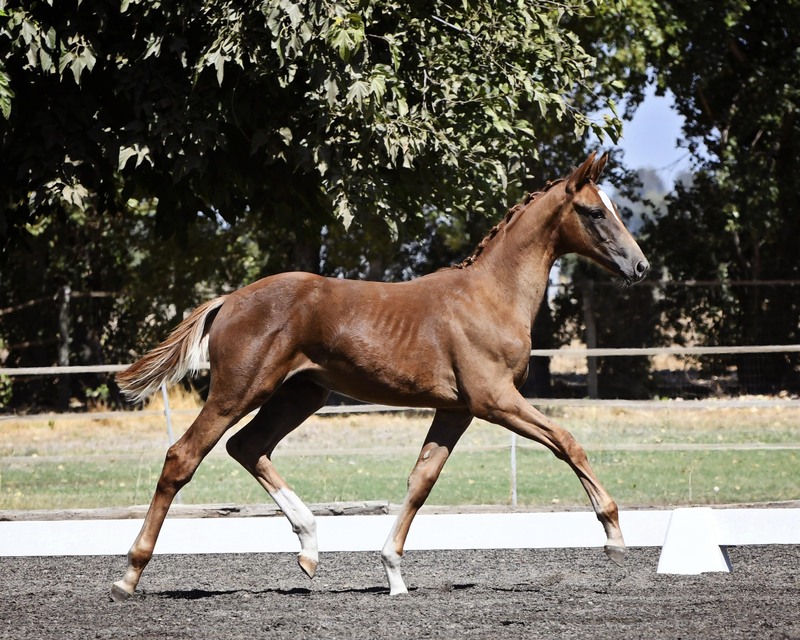 This long legged foal has a lovable character and we are very much looking forward to see her grow up here at CNDC. Qunique is a top Dressage talent with a show proved pedigree. He is by Quaterback, radiant Bundeschampion and winner of his 30-day testing. out of our State Premium mare Donna Dia. This sweet foal is out of our top producing mare Farera. 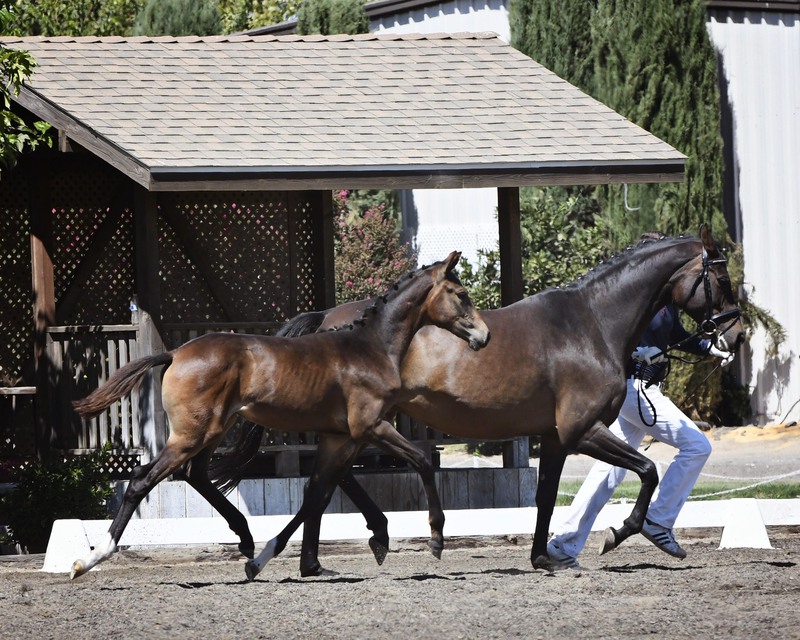 His full brother to Quintano (2010) already scored above 76% at Second Level and his sister Wintessa (2005) is among the few California bred Dressage horses who placed in the Top 3 at the Del Mar National Dressage Show CDI at the PSG/ I1 level.